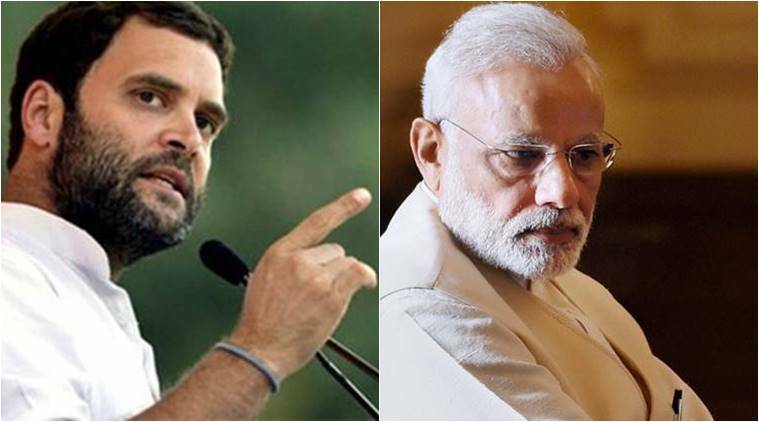 Lok Sabha elections 2019 HIGHLIGHTS: "They (Congress) have played with your lives and respect. Manipur is known for football and it's about time to show the red card to Congress for the foul" PM Modi said. 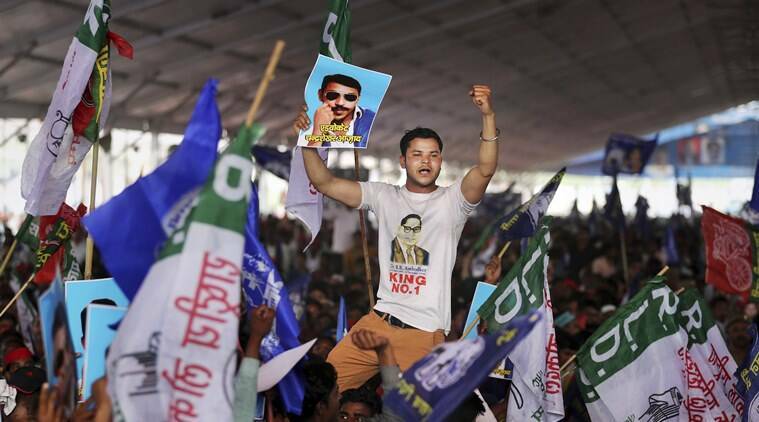 Lok Sabha elections 2019 HIGHLIGHTS: With the first phase of General Assembly polls less than a week away, major political parties in the country have intensified their campaigning. Addressing a BJP rally in Manipur’s Imphal city, Prime Minister Narendra Modi today said, “They (Congress) have played with your lives and respect. Manipur is known for football and it’s about time to show the red card to Congress for the foul”. Earlier, while addressing a BJP rally in western Odisha’s Bargarh, BJP president Amit Shah also slammed Congress chief Rahul Gandhi for being unable to name the prime ministerial face of the ‘Mahagathbandhan’ if it is voted to power. “Rahul Baba (Gandhi) is not able to tell the people who is the leader of the Mahagathbandhan. He does not know who will be prime minister if the alliance wins the upcoming polls,” Shah said. 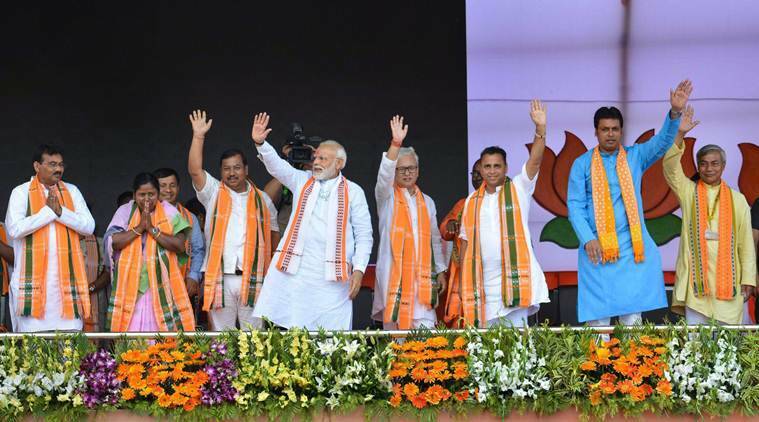 Lok Sabha elections 2019 HIGHLIGHTS: PM Modi to hold rallies in West Bengal, Tripura, Manipur. 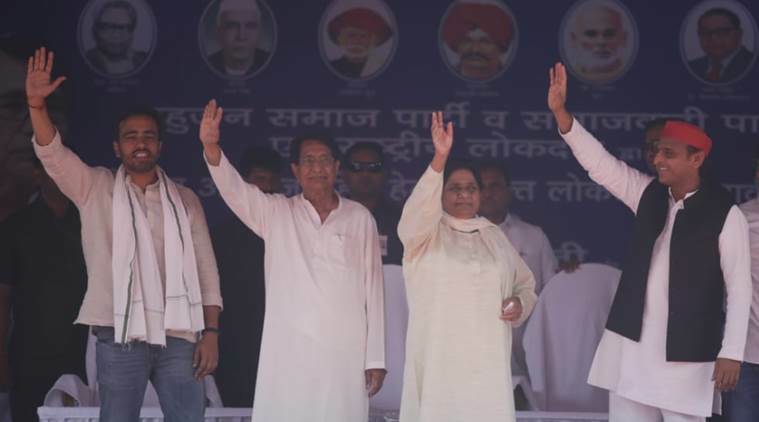 SP-BSP-RLD gathbandhan rally in Uttar Pradesh's Saharanpur constituency. CPI Sunday said Congress president Rahul Gandhi's contest in Wayanad Lok Sabha seat in Kerala against the party candidate was a "wrong decision" and denied any match fixing between Congress and the Left parties. Addressing a public gathering in Imphal, Prime Minister Narendra Modi said that Centre has created job opportunities for Northeast's youth through BPO's and Mudra Yojana. "Around 1.25 lakh farmers of Manipur have started receiving financial assistance from the Centre. We changed the law around bamboo and now you can grow and sell bamboo," Prime Minister Modi said. "They have played with your lives and respect. Manipur is known for football and it's about time to show the red card to Congress for the foul," Modi said. Polling for the two Lok Sabha seats in Manipur will be held on April 11 and April 18. Referring to Congres party manifesto, Prime Minister Narendra Modi said, "Congress' hypocrisy document seems to blow the trumpet of Pakistan more than that of India". Addressing a public meeting Manipur's Imphal, Prime Minister Narendra Modi said that for the first time, India carried out attacks across the border against the terrorist hotbeds. "People trust the Armed forces but not Congress leaders. They are supporting divisive parties and people," he added. For the first time, India carried out attacks across the border against the terrorist hotbeds. 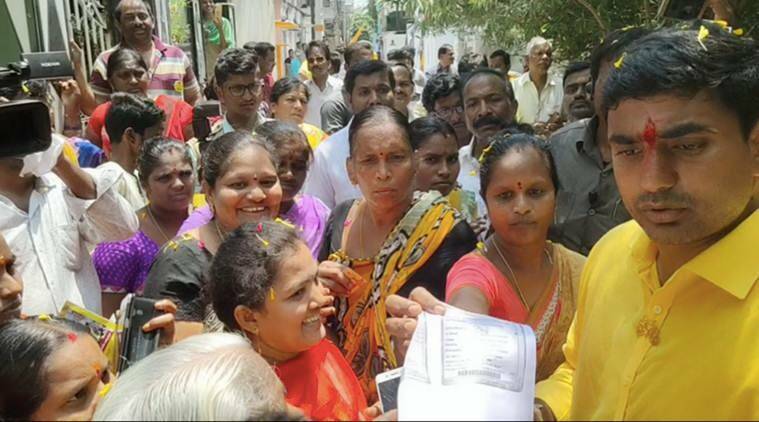 Karnataka Chief Minister H D Kumaraswamy Sunday said the only 'contribution' of the Narendra Modi-led NDA government at the Centre is that it had "decimated" the constitutional institutions in the country during the last five years. 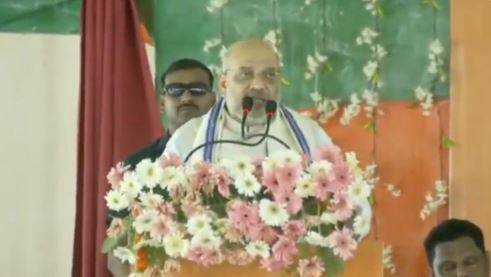 Rahul Gandhi yet to announce the name of mahagathbandhan's PM candidate; Narendra Modi will become PM again as leader of NDA: Amit Shah at Odisha rally. Senior Congress leader Rajeev Shukla said on Sunday no decision had been taken yet about general secretary Priyanka Gandhi Vadra contesting the election against Prime Minister Narendra Modi from Varanasi, news agency PTI reported. 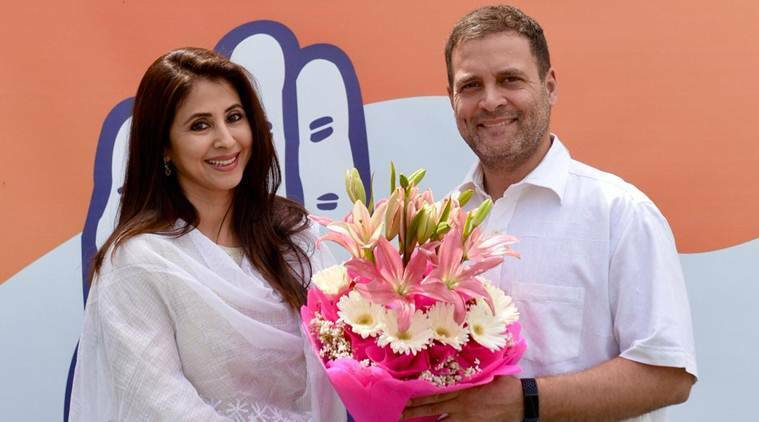 He claimed that under the leadership of Vadra, who is the party's incharge of eastern Uttar Pradesh, the Congress would do well in the Lok Sabha election and sweep the 2022 assembly election. 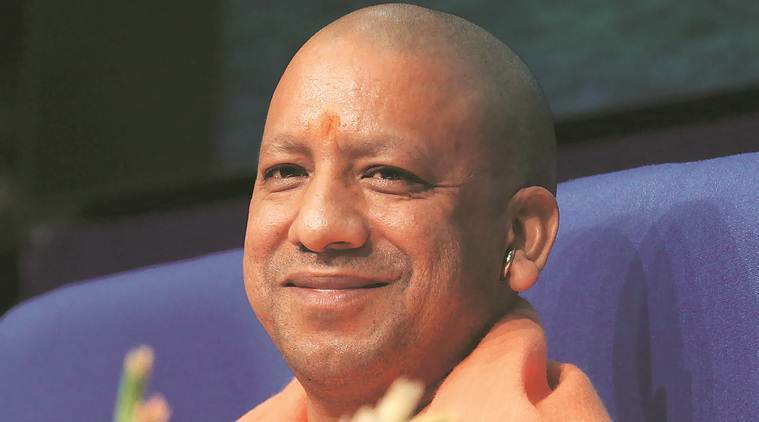 Uttar Pradesh Chief Minister Yogi Adityanath Sunday alleged that a vote given to the Congress in the Lok Sabha elections would only strengthen terrorism, Naxalism and separatist forces and obstruct development, news agency PTI reported. 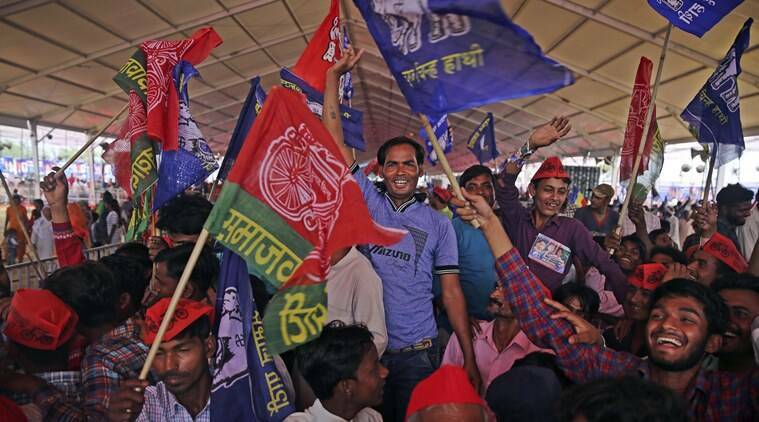 "The Congress and the Left are working together to oust Modi. They have stooped too low, singing paeans to Pakistan even when the NDA government was taking on the terrorists on the soil of the neighbouring country," PM Modi said while addressing a rally in Udaipur. PM Modi to file nomination in Varanasi on April 26. Prime Minister Narendra Modi to file nomination in Varanasi on April 26. "I was listening to Dharmendra Pradhan ji. He was speaking fluent Odiya. Will Naveen babu be able to speak even 5 lines in Odiya, without looking at paper? 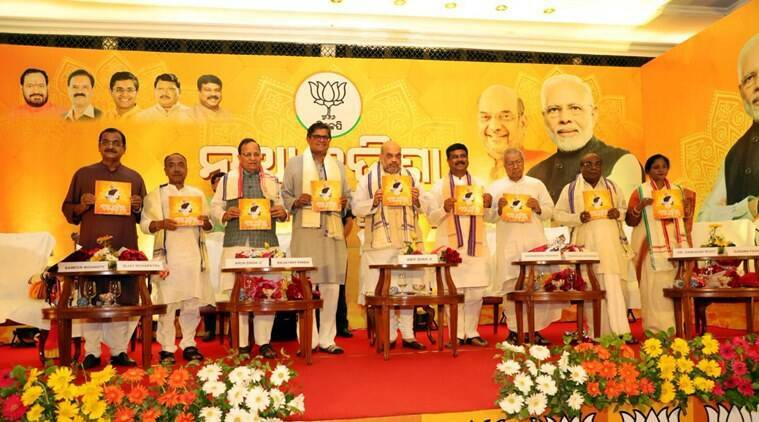 The man who can't speak Odiya even after being CM for 19-years can never work for the welfare of Odisha," Amit Shah said while addressing a gathering in Odisha's Bargarh. Tripura govt is directly procuring from the farmers, benefiting the people. We have destroyed the ecosystem of corruption comprising of middlemen, Prime Minister Narendra Modi said while addressing a rally in Udaipur city. Congress released their manifesto, their 'dhakosla patra' three days ago, not even once 'dhakosla patra' mentions middle class, such hatred towards the middle class. They think middle class has made Modi win & that's why they're adamant on punishing the middle class, Modi said. PM Modi in Tripura: Congress and other parties are planning to levy more taxes on the middle class. They are pushing the country towards license raj. The TMC has been trying its best to make inroads into the Tripura, but people haven't allowed that; they tolerated the atrocities of the Left front, waiting patiently for the BJP to rise, Prime Minister Narendra Modi said while addressing the rally in Udaipur. 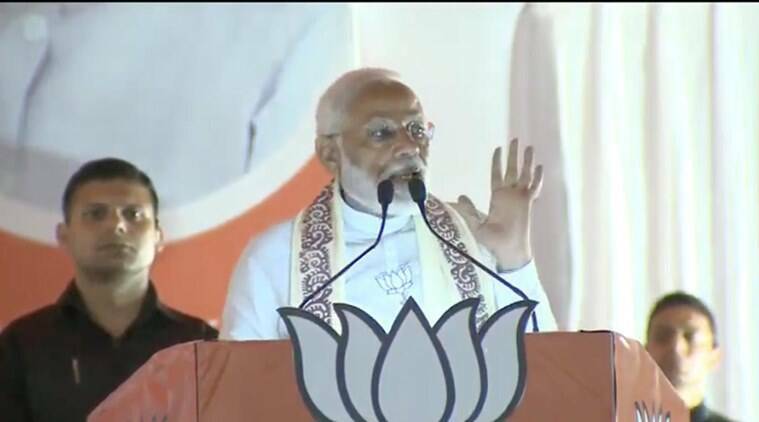 Addressing a rally in Tripura's Udaipur city, Prime Minister Narendra Modi said that the welfare of the poor has never been the priority of Congress or TMC. Going against their ideology, the Left parties have also neglected the poor and the labours, he said. Taking a swipe at PM Narendra Modi, RLD chief Ajit Sing on Sunday said, "What has Prime Minister Modi done in five years? He wasn't talking about your 'achche din', but his own 'achche din'." Taking on the present government and Prime Minister Narendra Modi, RLD chief Ajit Singh said that the government has not fulfilled its promises and the prime minister never speaks the truth. 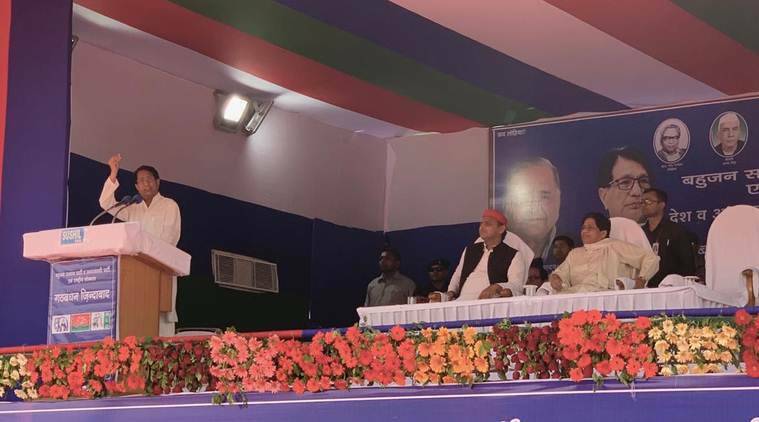 Addressing the joint rally of the gathbandhan in Uttar Pradesh, RLD chief Ajit Singh said corruption is at its peak in the country and the people will not forgive BJP. SP chief Akhilesh Yadav took on the BJP government saying, "BJP is the first government that promises benefits for the people, but works exactly opposite the promises." 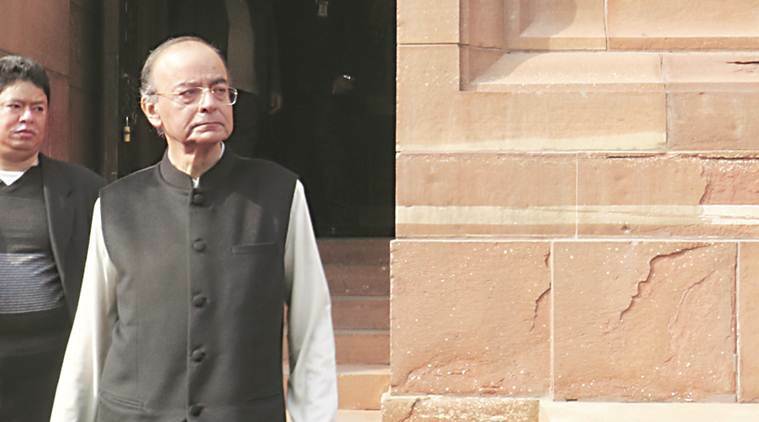 He attacked the BJP over the GST and pending dues for sugarcane farmers. SP chief Akhilesh Yadav, addressing the rally, asked the people to question all the leaders, who hold rallies and make promises to them, about the work they have done. 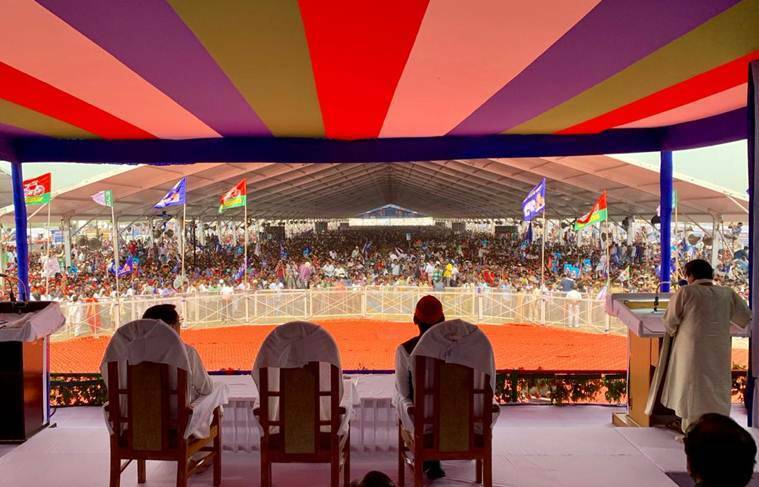 Addressing the public gathering in Deoband, BSP chief Mayawati said that the gathbandhan will be committed to the welfare of the farmers, women, unlike the BJP, whose agenda is pro-capitalist. BSP supremo Mayawati took on the Congress saying that its rule was full of wrong policy decisions. 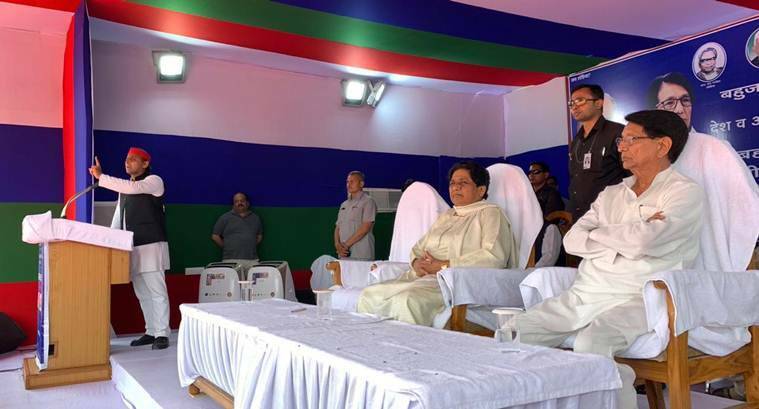 Speaking the joint rally of the SP-BSP-RLD alliance, Mayawati said that the gathbandhan will win in the upcoming Lok Sab polls if there is no rigging. Congress president Rahul Gandhi addressed a rally in Srinagar, Uttarakhand on Saturday. 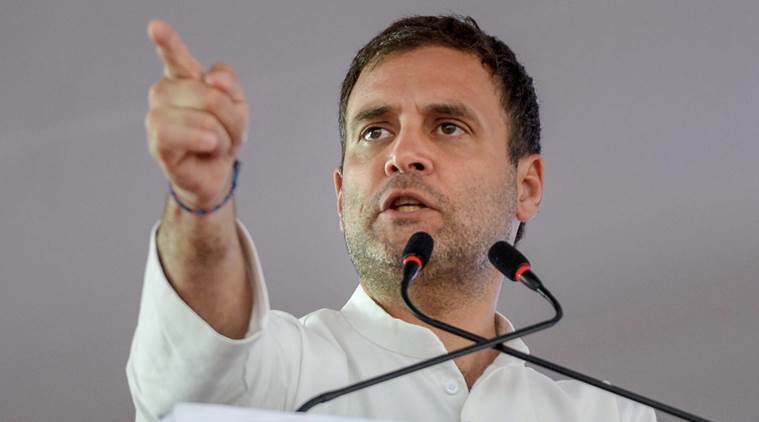 Meanwhile, Congress president Rahul Gandhi in his address at a rally in Srinagar, Uttarakhand said, "He (Modi) didn't think for a moment when he took your money to give it to the likes of Nirav Modi, Mehul Choksi and Anil Ambani. And now, when it has come to paying some money to the poorest as an income support, he is asking where will the money come from."